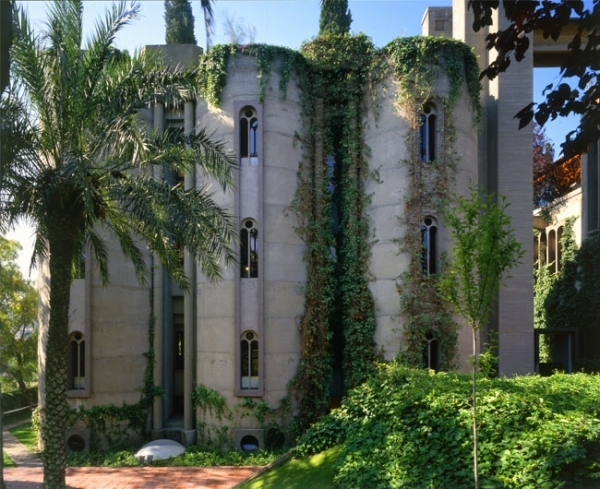 This factory conversion in Spain was designed by Ricardo Bofill, and it is now the headquarters of his architecture firm, Taller de Arquitectura. 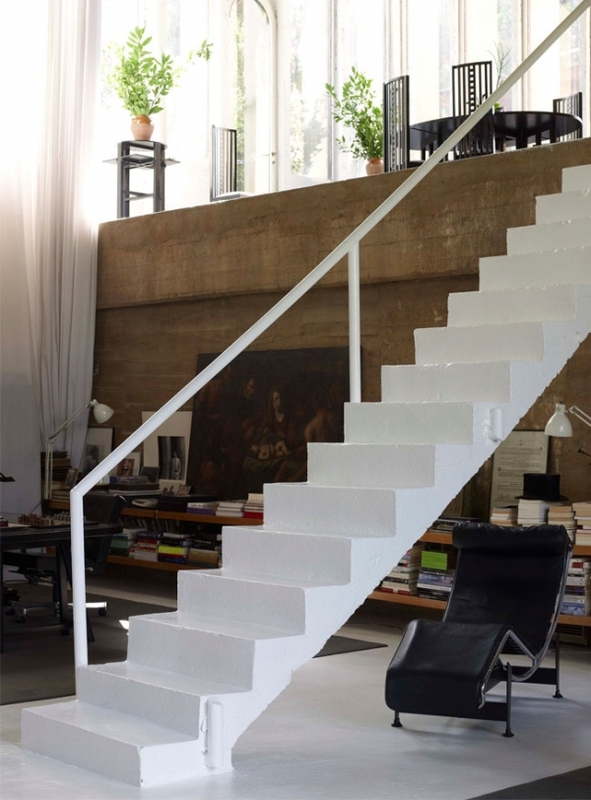 We absolutely adore the walls in this awesome space. They are wonderfully warm and they retain the history of the building, adding a very specific and intriguing dose of character. White sofas and chairs fill this large area, providing ample seating. Beautiful shelving lines the walls and floors, providing a space for books and fabulous artwork. Large windows allow for natural light, brightening the space and highlighting the height of the ceilings, and lively greenery adds lovely color. 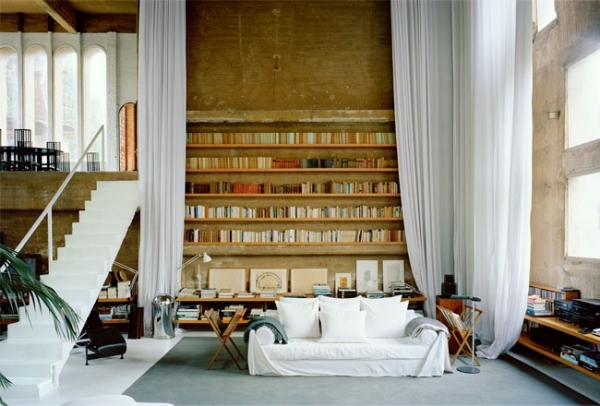 The white curtains are an outstanding touch, bringing a little luxury and whimsy to this factory conversion. 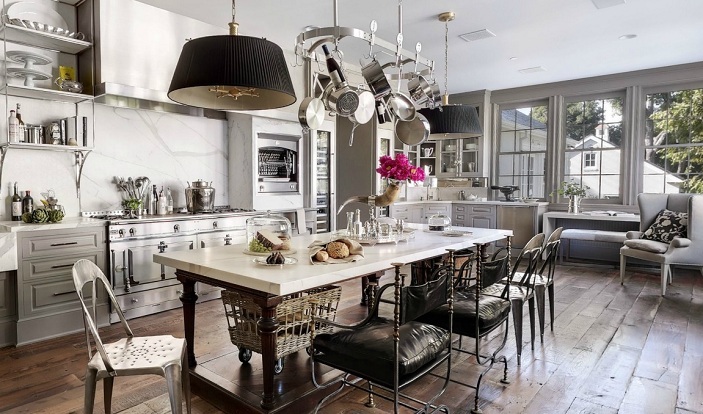 The black table and the black and white chairs in this room, are a wonderful and surprising addition. The chairs have a goth-like feel, adding interest to this gorgeous room. 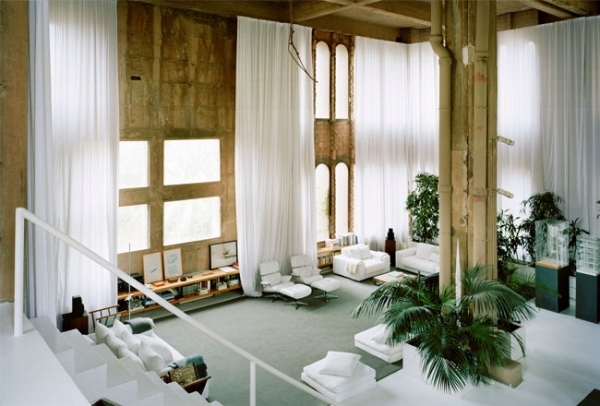 We love the pure beauty of this space, it’s almost as if anything that could be left untouched, was. The bedroom is outstanding. 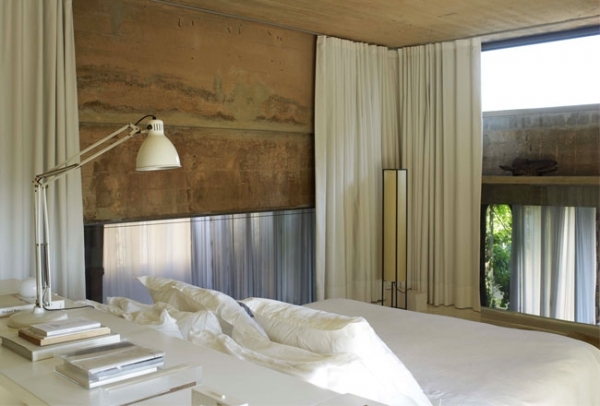 A white plush bed, magnificent curtains, stylish lamps, white shelving, and artwork, complete the space. 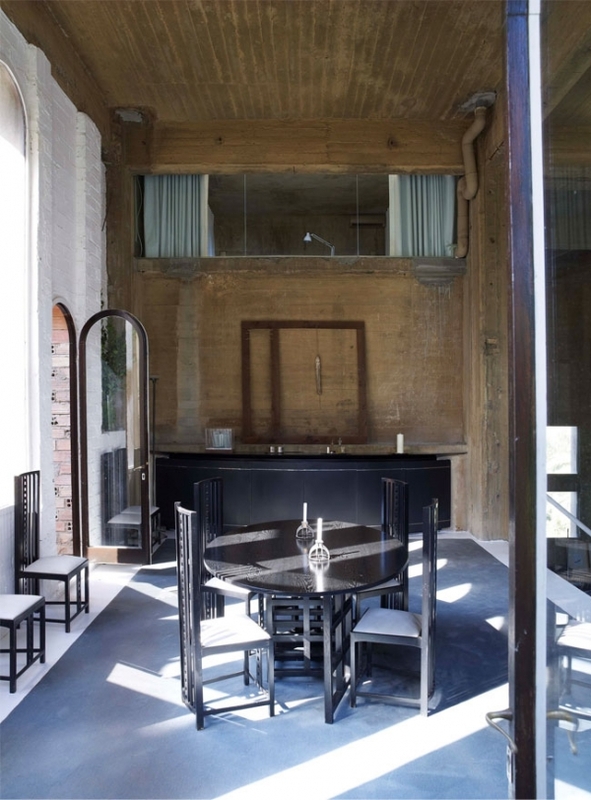 The outside of the factory conversion is just as remarkable as the inside. Enticing green vines drape over the exquisite gray exterior, and wonderful trees and plants decorate the surrounding landscape. The overall design of this place is just……perfect.